“Forty percent of Buenos Aires province’s GDP is concentrated in Zárate, Campana, Exaltación de la Cruz, Escobar and Pilar districts”, stated Juan Pablo Fernández Funes, Undersecretary of Labor of the Province of Buenos Aires, within the framework of Pilar’s Second Trade Union and Business Liaison Committee, an initiative carried out by Pilar’s municipality Undersecretariat of Labor and Labor Relations of Pilar municipality. 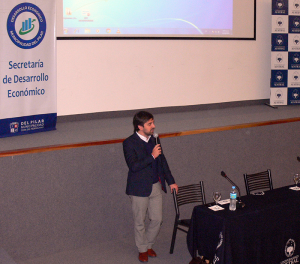 This second meeting was held at Universidad Austral Campus’ Undergraduate Building’s auditorium with the aim of consolidating a platform for dialogue targeted at conflict resolution and labor crisis prevention. Following the same line as Fernández Funes, Rocío Casajus, territorial representative for the same Undersecretariat, explained that they are intent on “working closely with the municipalities” giving priority to this productive Northern Corridor of the province of Buenos Aires. “We won´t take sides: we want to ensure compliance with labor laws, and we will side with unions or management as we consider appropriate”, noted Fernández Funes. Before Casajus went on to describe the programs developed by the provincial Ministry of Labor for job preservation, among others, the undersecretary of Labor concluded that “this is an important space to anticipate conflicts as well as solutions”. “All of Pilar’s essential components are represented here today”, added Dr. Martín Sabaté, municipality of Pilar’s Labor Relations Program’s coordinator. “We want this Liaison Committee to serve as a first step that will allow us to walk together and avoid conflicts: we don´t want people without jobs”, he asserted. 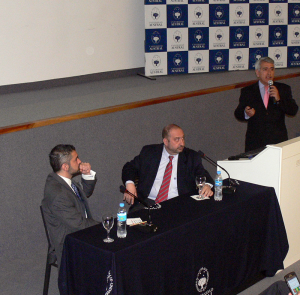 Also present was Guillermo Corazo, undersecretary of Labor and Labor Relations. 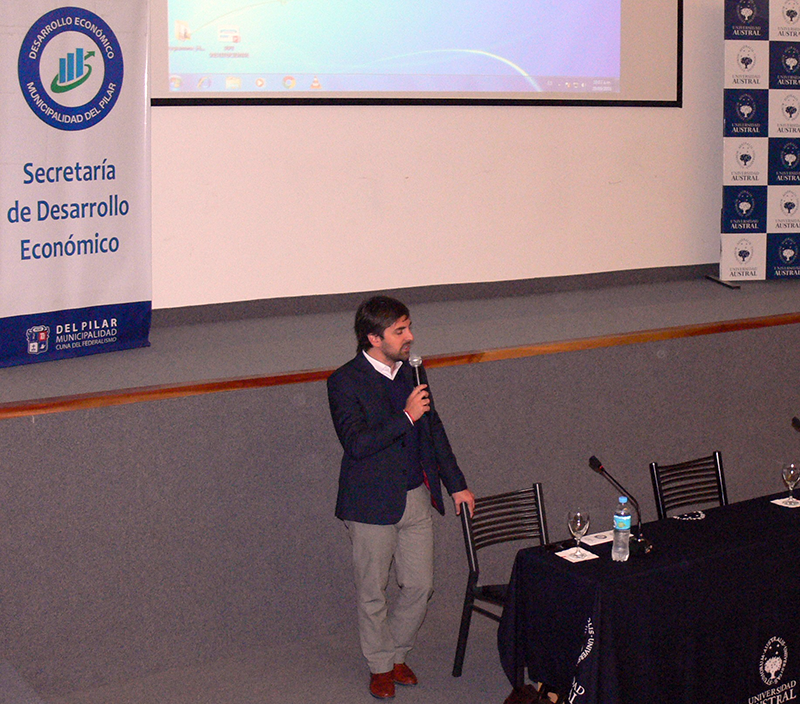 IAE Business School’s new Center for Trade Union Studies, an initiative led by Diego Blasco Funes, head of Universidad Austral’s Institutional Relations, was presented during the event. “We want to promote trade unions as a development factor in Argentina, and to work with young delegates who are eager to further their training”, noted Blasco Funes. In addition, he drew attention to the German trade union model, in which trade union representatives sit on the boards of directors of companies. In this regard, engineer Roberto Luchi, professor of the brand new Center, which will be officially inaugurated in November, commented, “we must develop a long-term vision and tap into new technologies to achieve sustainable employment, effective communication in negotiations, and a mature dialogue, without neglecting the fight for a decent salary”. Companies, trade unions, local authorities from Zarate and Exaltación de la Cruz, government representatives from the province of Buenos Aires and national officials participated in the event. Many business associations were present at the meeting; among them: Traders Association; Pilar’s District Industrialists, Owners and Associated (SCIPA); Business Chamber of Pilar’s Industrial Park (CEPIP); Pilar’s Chamber of Small and Medium Enterprises; Del Viso’s Chamber of Commerce; Fatima’s Chamber of Commerce; Villa Rosa’s Chamber of Commerce. Participating unions included: Airline Crew Members; Food (STIA); Bankers; Truck Drivers; Meat (SIGBA); Private Home; Commerce; Sports and Civil (UTEDyC); Gas Stations (SOESGYPE); Railways; Gastronomy (UTHGRA); Millers; Bakers; Pastry; Plastic (UOEYP); Chemicals (FATIQYP); Security (UPSRA); SMATA; UOCRA; UATRE; and Public Events union. In addition, several private companies such as Johnson & Johnson; Richmond chemical company; Grimoldi and Campo Austral, among others, were also represented at the meeting.